For over 25 years, Andrew has specialised in representing wealthy worth individuals or families in high-profile cases (acting for husband, wife or interveners) on the whole range of financial claims in divorce and related matters. 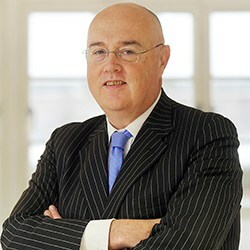 Andrew has a penchant for financial cases especially nuptial planning or attacking or defending trusts on or offshore, or locating hidden assets. Andrew’s largest case to date involved assets worth well in excess of £1bn. He enjoys a reputation as a tenacious litigator and aims to achieve a fair solution to cases. This combines well with drafting fair and binding nuptial agreements advising on, achieving and keeping confidential fair settlements. Andrew has regular exposure to trusts, companies or nominee structures and pensions. He is fully conversant with the issues in ring fencing assets by fair family agreements – a development of increasing importance pre or post marriage. He is a trained Collaborative Lawyer. He is the first lawyer in Birmingham to qualify as a Family Law Arbitrator and amongst the first in the country to be accredited, in 1998, by Resolution (First for Family Law) as a specialist in big money cases, and in tracing, chasing and safeguarding assets. He is a frequent lecturer at seminars, has a national reputation and is recognised as a leading expert in family finance. He represents many professionals, entrepreneurs, sportsmen, farmers or their spouses, trusts or interveners.